The Atelier for Young Festival Managers, a mentorship program initiated by the European Festival Association (EFA) is becoming the most important and comprehensive forum for international discussions on a worldwide cultural phenomenon, the arts festivals. During the opening of the atelier in Singapore, one of the mentors, Rose Fenton, co-founder of the London International Festival of Theater asked the question: How many festivals do we really need? There were eleven mentors and 34 participants from ASEM countries, Africa and Central America. In the plenary alone there were close to fifty festivals celebrating different ways of life, events and things. An interesting note, as the third edition of the Atelier which was held for the first time in Asia, the question “are Asian festivals using the European Model?” was often raised. An Atelier mentor Wai-Lap Kwong, the Program Director of the Guangdong Modern Dance Festival in China, stressed that in Asia, Festivals are community events that oftentimes centered on food. 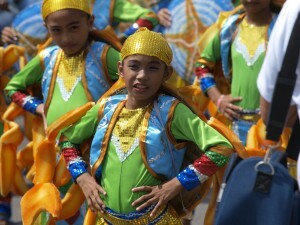 Philippine festivals are town fiestas celebrating moments in history that defined identity, polity and locality. Celebration of the arts and culture, albeit made central to these festivities, only comes as a texture instead of text in the whole exercise of the Festival. This articulation of the festival differs entirely from the European frame borrowed from Bernard Faivre D’Arcier (former Director of the Avignon Festival) that “the true role of the festival is for artists to dare, to engage in new projects”. Despite the cultural divides of eastern and western thoughts, Philippine festivals are still festivals nonetheless. The Philippines has so many festivals: there are town fiestas celebrating foundation days, patron saints and a combination of both. These festivals are occasions when and where people converge, the same occasions when Government units and the private sector become generous with funds. Fiestas become important avenues for artistic engagement. As artistic ventures especially in the Philippine countryside are always wanting in venues and avenues for artistic engagement, it is in these convergences that the artists find their audience. The Philippine festival calendar is full. Every province, town and city celebrates foundation days, patronal fiestas and historic celebrations. While it is a hodgepodge and flurry of sports and commercial activities, oftentimes culture and the arts are the central motifs of the celebrations allowing artists to dare and engage in new projects. Depending on the local expertise, these fiestas become the stage for local visual arts, music and dance festivals. Cosmopolitan centers feature contemporary arts while others highlight traditions indigenous to the locale. The oldest and one of the most important music festivals in the Philippines is the International Bamboo Organ Festival. This yearly musical event is organized by the Bamboo organ Foundation, Inc. and the City of Las Pinas, Philippines. 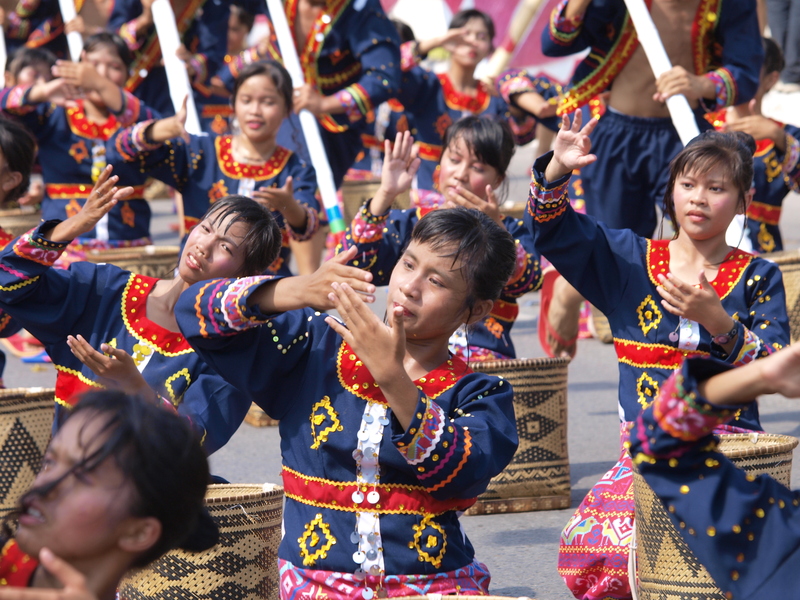 Now on its 35th year the Bamboo Festival pursues and enhances the rich musical traditions. The Centerpiece of the festival is a famous musical instrument, the world’s only bamboo organ. Initiated by the National Commission for Culture and the Arts national Committee on Music and affiliated by UNESCO Program on Cultural Diversity, The International Rondalla Festival celebrates the world traditions of folk music and dance among world cultures the festival seeks to identify the root foundation of culture through the influence of geographical, social and artistic influences. 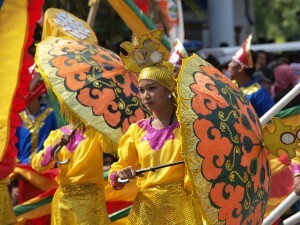 The Festival is hosted by different Philippine cities each year. The Wifi Body Philippine Independent Contemporary Dance Festival is organized by the World Dance Alliance and the Contemporary Dance Network of the Philippines. New contemporary dance works by Philippine and international choreographers and dance artists are featured in the festival. Another festival. The Bagasbas Beach International Eco Arts Festival is a community participative, immersive and developmental arts festival using art as a tool for development. Programs included are bamboo and video installation, video art, public art and full length and short films. This coincides with the Bagasbas Beach Festival in Daet, Camarines Norte, south of the Philippine island of Luzon. Perhaps the most important arts festival in the Philippines in terms of breadth and reach is the Philippine International Arts Festival (PIAF). The Month of February is a mammoth celebration as it is mandated by the Philippine Government as the National Arts Month (NAM) celebration. Institutionalized twenty years ago by the National Commission for Culture and the Arts, the NAM is a series of activities and festivities celebrating Filipino artistry and promoting the arts and artists. In 2010, the multidisciplinary arts festival went international and was named the Philippine International Arts Festival. At the end of the Atelier in Singapore last May 21 the answer to the question “how many festivals do we really need?” was not articulated. The mentors and the participants went home to their countries and began their work infusing the things and lessons learned from colleagues from all over the world. Perhaps as a culture that celebrates and glorifies life, we need these festivals and more. Emerging the morning after with hangover and overdosed with activities, we anticipate the next fiesta. Leonardo Rey S. Carino is currently an executive committee of the National Committee on Cultural Education of the National Commission for Culture and the Arts. He is a Faculty Member of the Ramon Magsaysay Memorial Colleges and works at RMMC as Cultural Development Office. Before managing Festivals, The author has been a participant in many Festivals in Europe. An ardent believer on the educational value of International travel in festivals, He founded the RMMC Teatro Ambahanon. Ambahanon embarked on their first international festival In Fukuoka, Japan recently.